Do you want to know if it’s the right time of year to plant a vegetable? Want to buy Florida produce but you don’t know whether it’s in season? 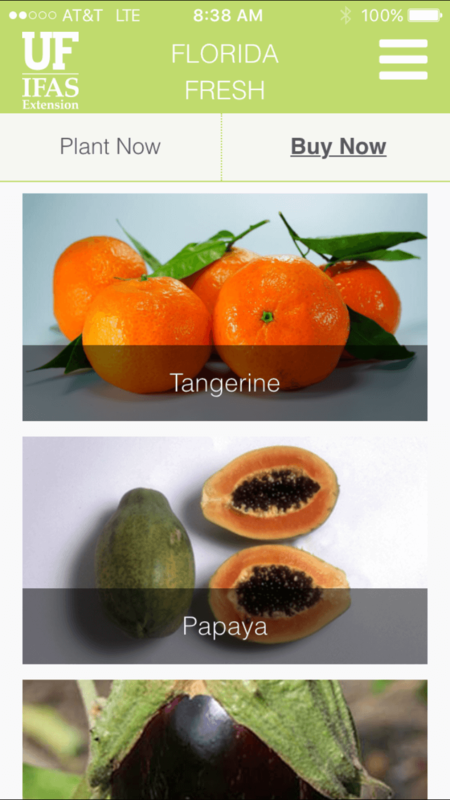 UF/IFAS has a new app to guide you. It’s called the “Florida Fresh” veggie app, and you can now download it for free on your mobile device. The process of using it is simple. You enter your zip code and the app tells you when to plant Florida vegetables. You can also discover the seasonal availability of Florida-grown produce. And there’s more. If you touch any of the photos, the app provides lots of information about each fruit and vegetable, including planting tips, best varieties for Florida and nutritional value. The app also gives you links to Extension documents about the plants.